12 interior design tips with pink for your home more attractive. 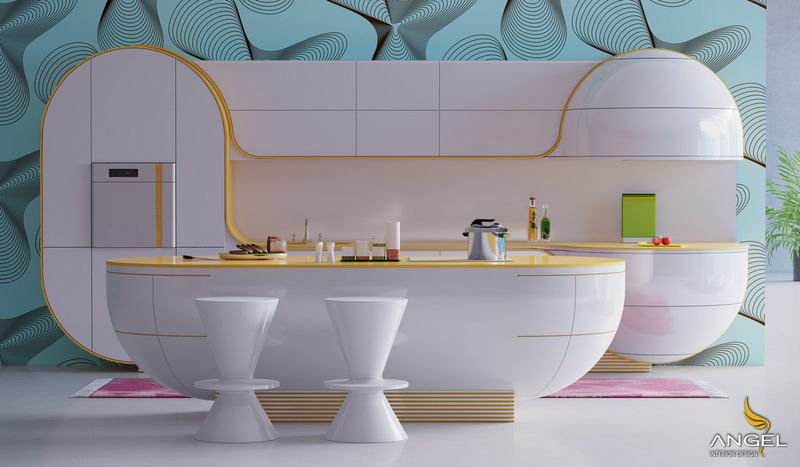 If you are thinking about something different for your kitchen design, then think you should use pink. 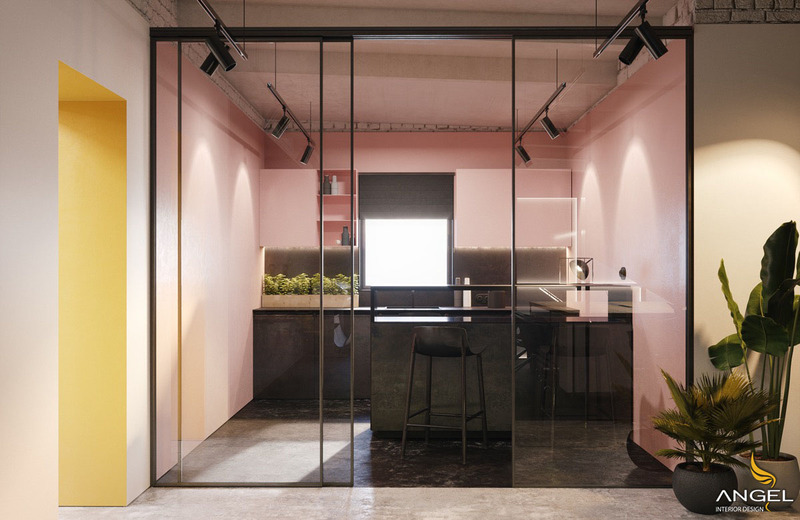 A pink kitchen is a way to enhance the personality of your home interior design project. 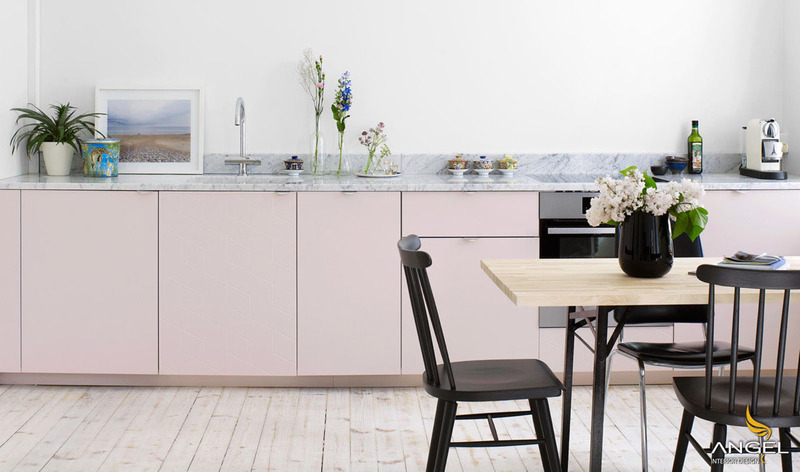 Here are 12 tips to make your kitchen design look rosy pink. Choose the color contrast, this will help the colors in your home are outstanding. 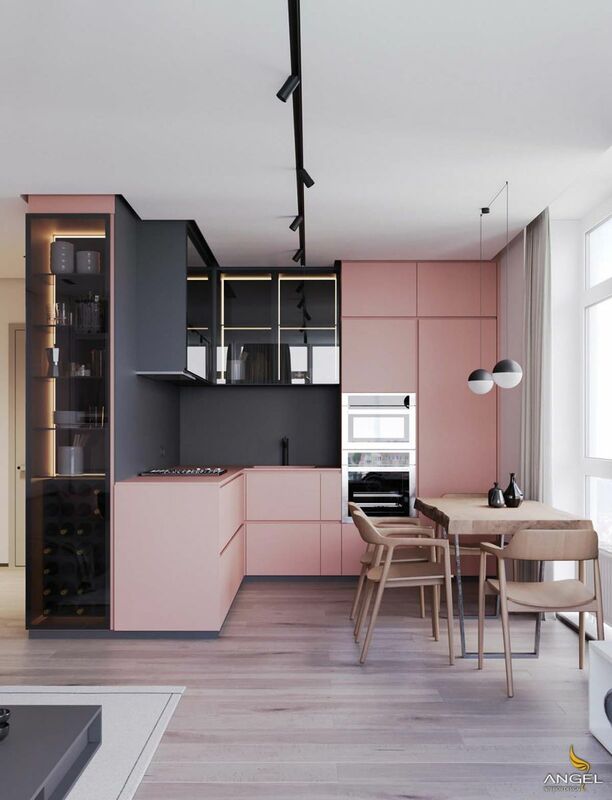 A space gently gently and cool, the pastel pink kitchen looks great when the hand is the same black and gray. A simple, light-wood table will create a balance between the two colors. This creates interesting visual tunes using areas of light and shade. The lining around the frame of the kitchen wall and ceiling circumference increases the size of the flat color. 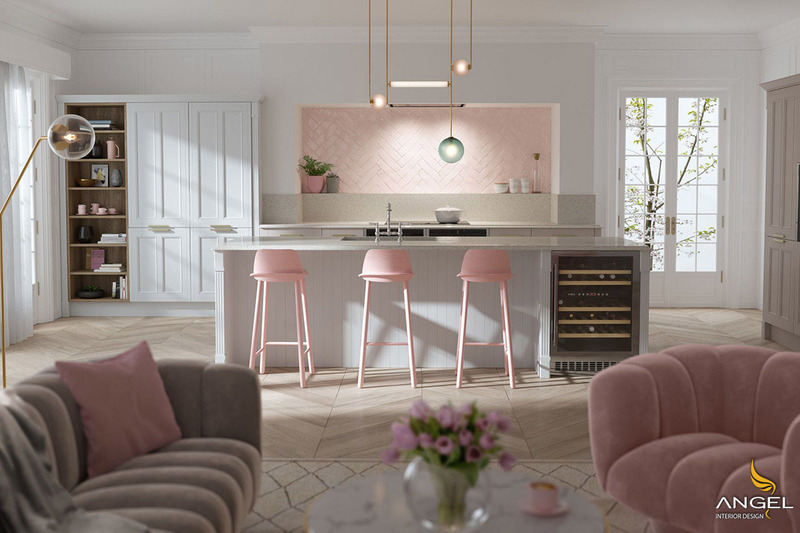 Access the pink kitchen decor with warm metal accents. Golden lamps and brass kitchen accessories look glittery and gorgeous with red roses. It is possible to find a bit of pink in the white, gray and beige colors to bring a subtle note of pink to a room. This simple layout is based on the traditional Japanese aesthetic of Wabi-Sabi. The idea of ​​adopting transient and imperfect, can be translated as elegant beauty and rustic beauty. These bright pink kitchen cabinets create a wall of wild color, but the master plan still goes through as well. A marble and island kitchen adds sophistication to the arrangement. A black dining table and a luxurious gray fabric dining chair bring color down a few steps. Use reflection to paint your cabinets. 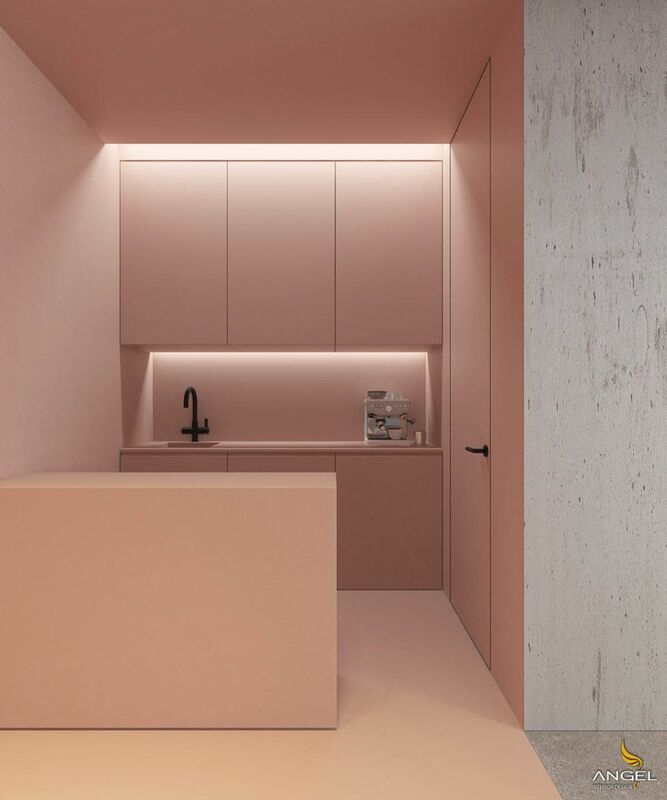 This inspirational kitchen design shows how you can introduce a subtle pink light just by reflecting a pink floor or a pink kitchen rug on glossy white surfaces. The color of the wood and pink is a match created in heaven. 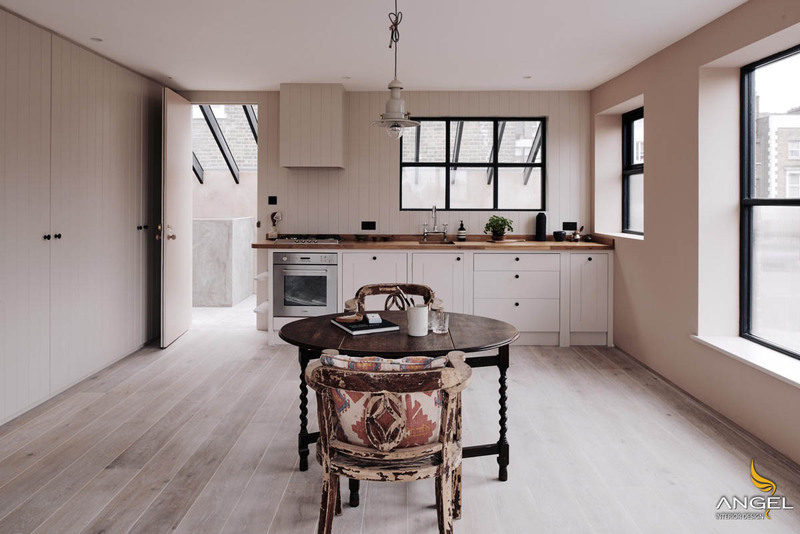 The lightest, smallest, and island kitchen units bring a little warmth to this white decor, and work in perfect harmony with the warmth of the wooden fishbone floor. 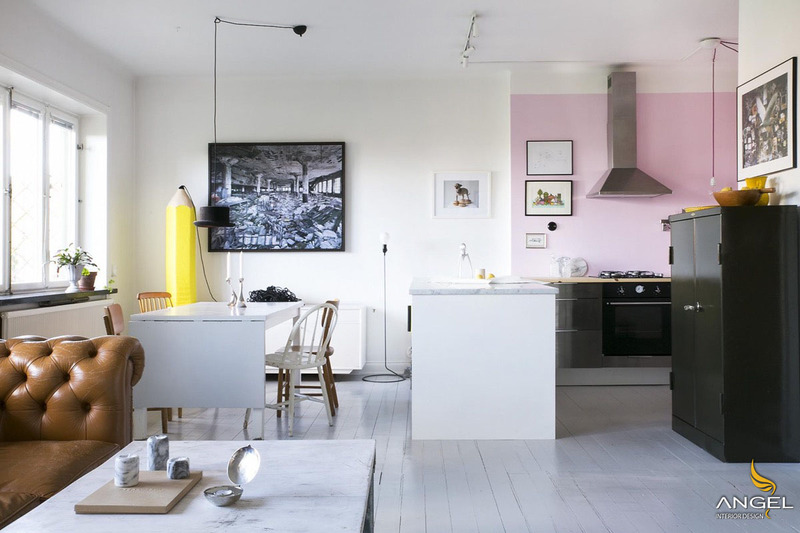 A pink wall can add a quirky kick to a plain open plan. 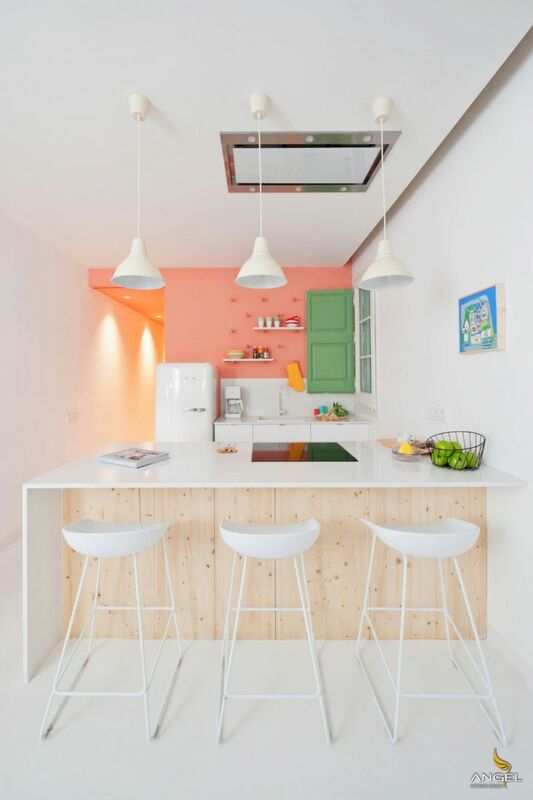 A sweet pastel pink kitchen works well with the greenery of nature. Coordinate with color. 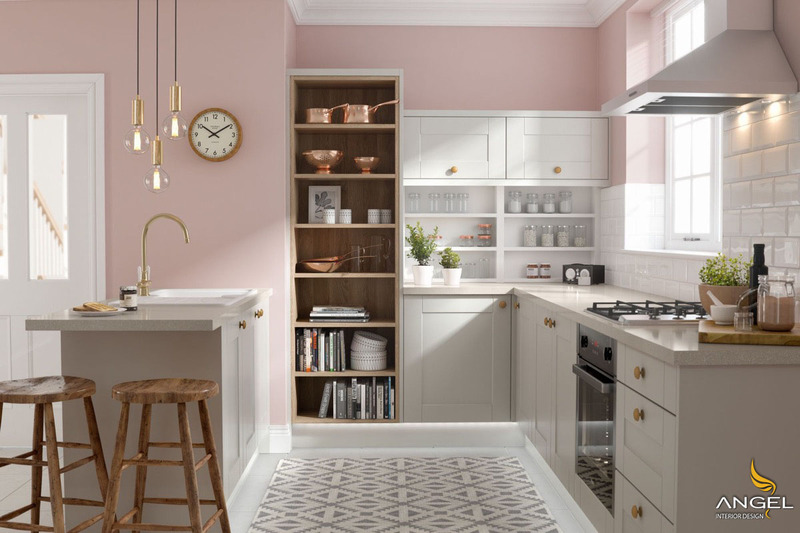 This pastel themed kitchen is colored by a beautiful tile kitchen wall in a matching fishbone design and pink kitchen stove. A set of rose tea, vase and pepper plantations with color mixing accessories. Push your pink-colored walls into the bright coral head of the spectrum and team it with fresh green highlights to create a completely tropical flavor.